We are thrilled to have been awarded the Australian Institute of Traffic Planning and Management (AITPM) Excellence Awards Transport Planning Award and The Janet Brash memorial trophy for our Hobart Local Area Precincts Plan. Our plan delivers a unique main street revitalisation concept to the City of Hobart, based on innovative tactical urbanism principles. The awards focus is to "recognise professional excellence while encouraging innovation and practices that challenge the way we do business." The Janet Brash memorial trophy is the overall award for the best project across all categories. 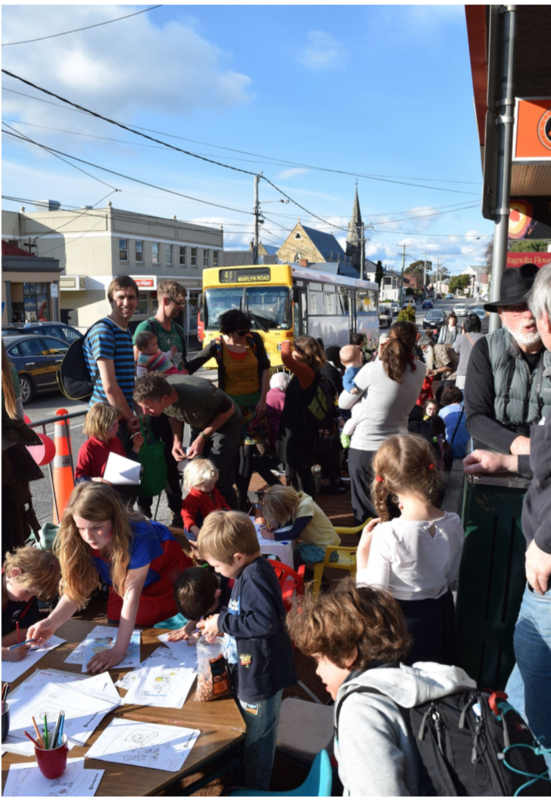 We see the use of tactical urbanism to conceptualise, develop, prioritise and implement streetscape improvements by a local government as unprecedented in Australia, and we believe this approach represents a new best practice. It is (we think) the first time in Australia that tactical urbanism interventions, organised and undertaken by local traders, have been used by a local government as the core tool to conceptualise and prioritise street and/or public space revitalisation projects. By empowering local traders to champion the development of their own streetscape interventions, we fostered stronger ties to the community, more united and connected traders groups, and will ultimately deliver streetscape renewal works that are proven to be welcome and successful. Of course the real reward is seeing the community engage is a ground up approach to street design. But that being said it’s awesome to have the work recognized in this way. Thanks AITPM!